Bartlett, Loop, Fortson, Walker, and Other Families - Robert Leslie Harper's home, Corsicana, Tex., ca. 1910-1912, courtesy of Ann and Bob Marcy. 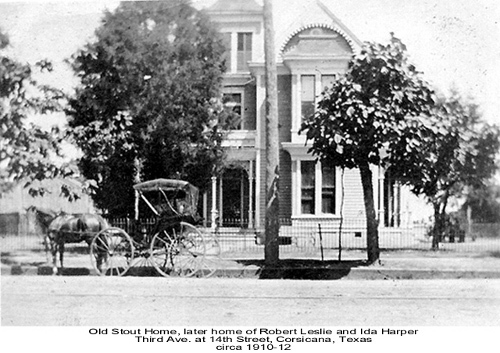 Robert Leslie Harper's home, Corsicana, Tex., ca. 1910-1912, courtesy of Ann and Bob Marcy.